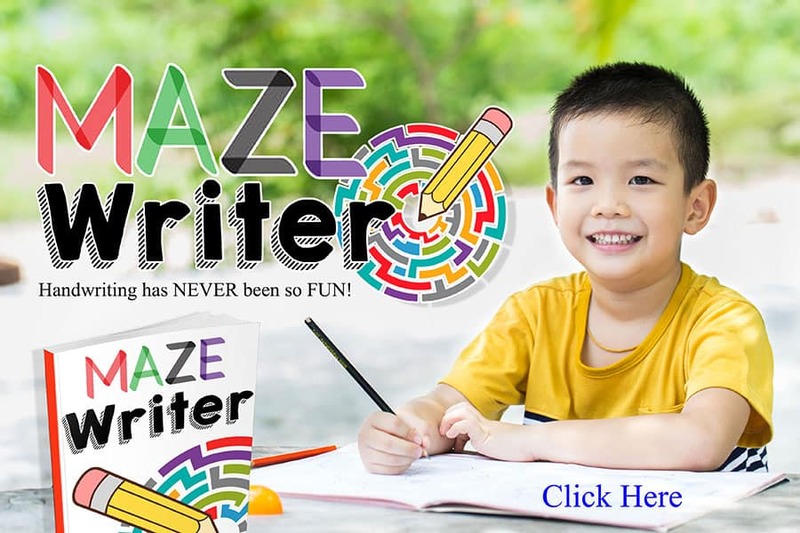 Maze Writer is a 26 week handwriting program that is filled with FUN activities and mazes….as well as handwriting practice for the entire alphabet. 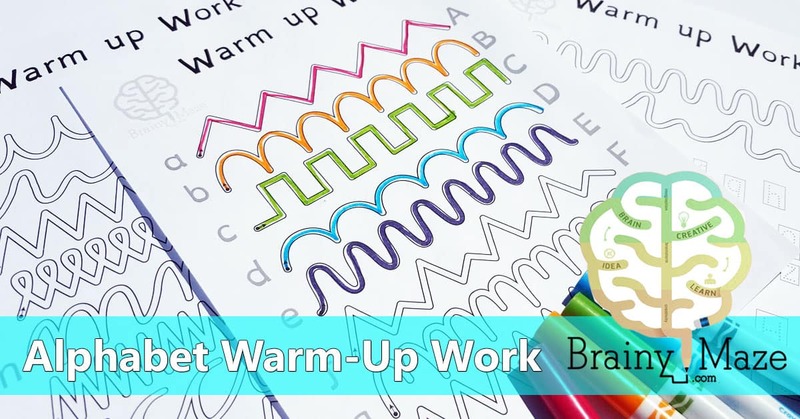 This program was especially designed for children who struggle or have little interest in other homeschool handwriting programs. As a homeschooling mother of four, you can be sure that I have had my share of handwriting struggles….and I KNOW that not every child enjoys writing. Most children however, do enjoy mazes and activities so that is the thought process behind this new product. 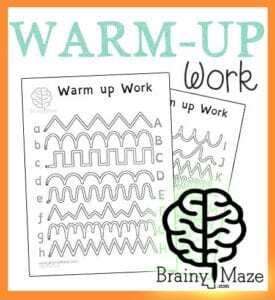 Reel them in with the mazes and then sneak in the handwriting practice. Mazes are also fantastic for building logic, reasoning, and small motor muscles needed for handwriting. Best of all we’ve organized this program into a structured 4 day a week outline over 26 weeks. You simple print and place inside a binder and you are good to go! There is simple instruction to help children with understanding formation of the uppercase and lowercase letter. 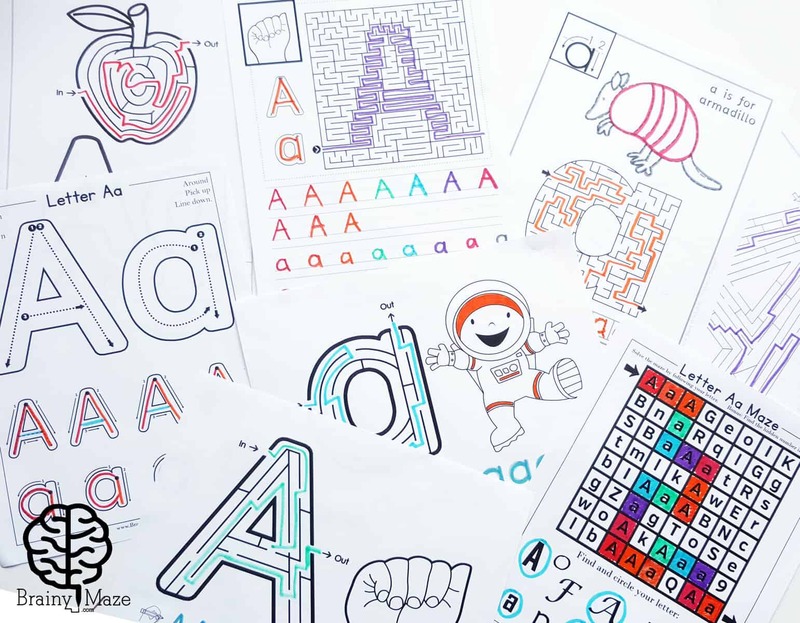 Children can practice tracing the letters with different colors for each stroke. 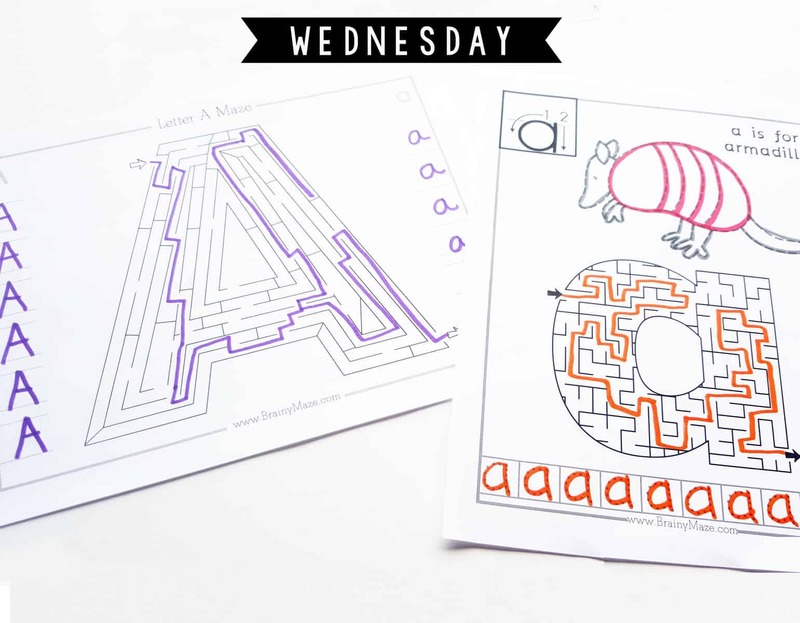 At the top of this activity page is a beginning letter shape maze to solve. A blank uppercase and lowercase letter is provided for children to roll out play dough, fill with stickers or stamp with bingo markers. 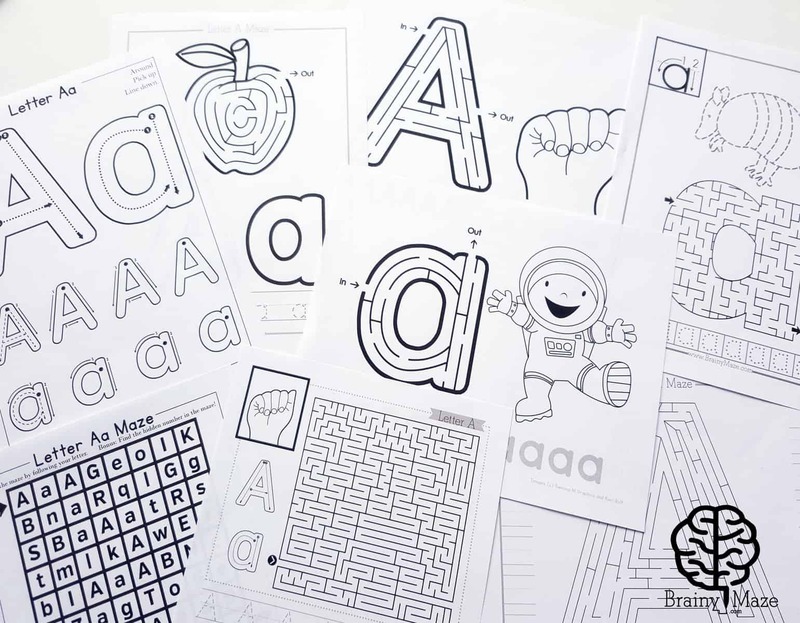 This activity page provides children with an uppercase letter maze to solve. The ASL hand sign for the letter is shown for children to practice forming the letter with their own hand. A row of uppercase handwriting practice is provided. 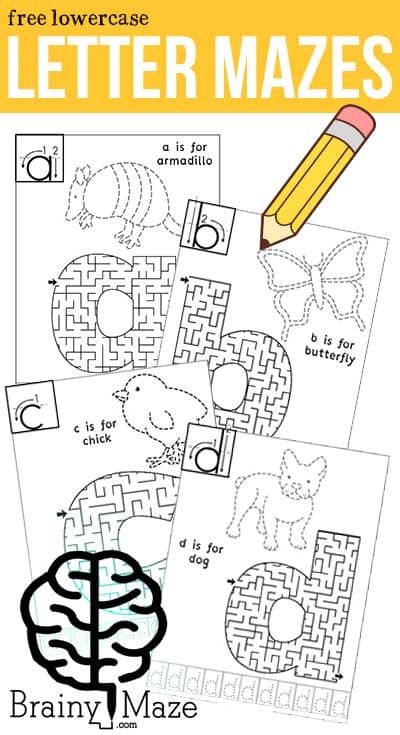 This activity page features a lowercase letter maze for children to solve, alongside a beginning letter coloring page. Lowercase lettering practice is provided across the bottom. 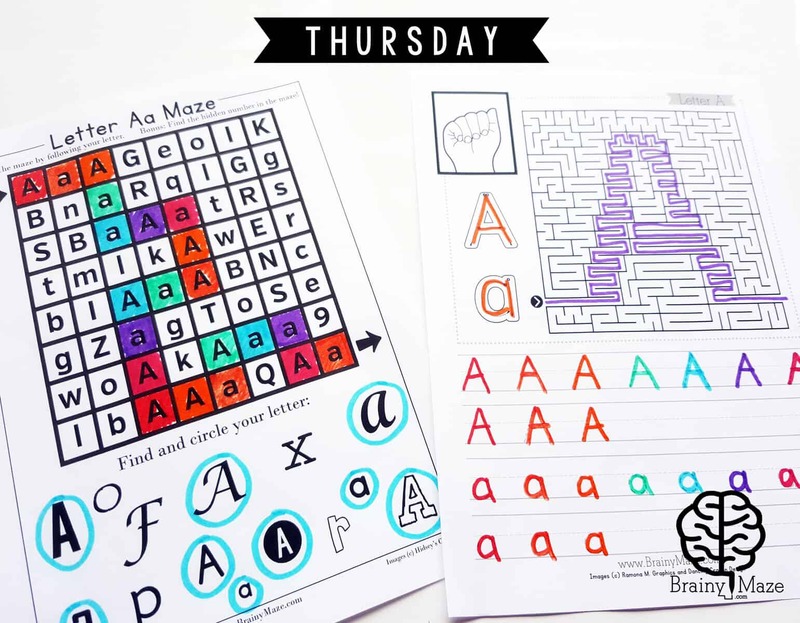 This activity page features a large uppercase letter maze alongside blank spaces for children to practice their letters. This is a good opportunity to remind children to go slow as they form each letter. 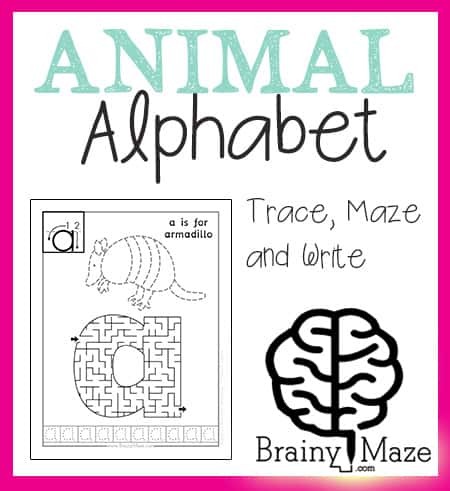 This activity page features a lowercase letter maze for children to solve as well as a beginning letter animal to trace. 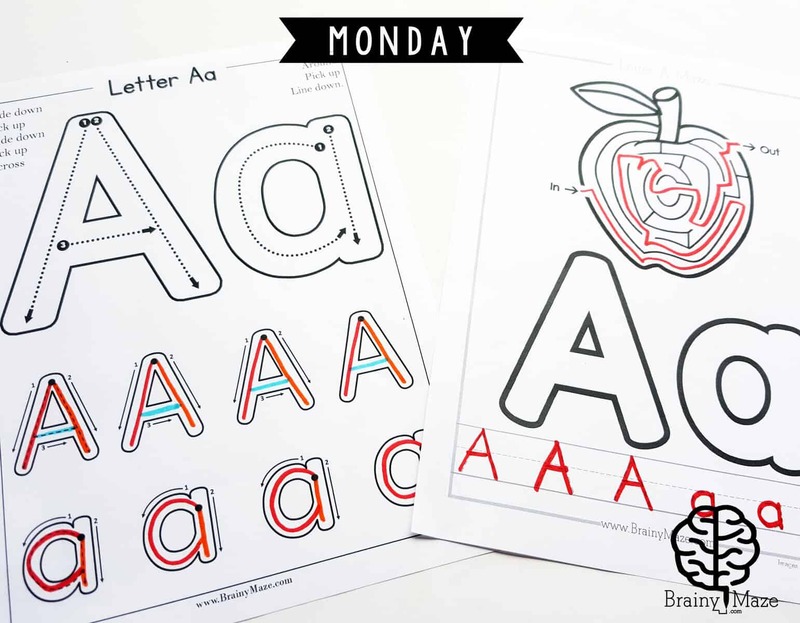 Lowercase letter practice is provided across the bottom in a dyslexia friendly font. Children work their way through the maze by following the correct letter. Below is a variety of different letter and fonts for children to practice visual discrimination skills to find and circle the letter. The final page for the week reviews the ASL hand sign and stroke order. 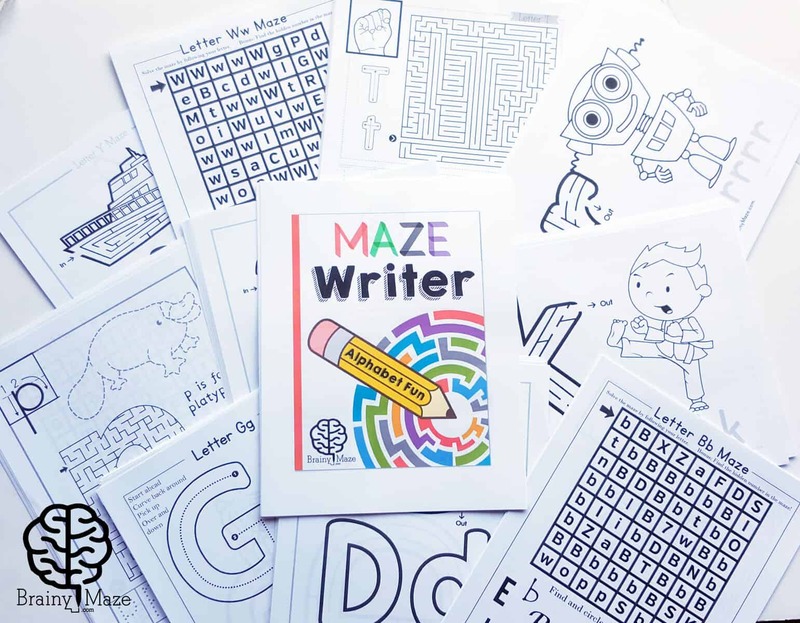 Children solve the maze with a colored marker to reveal a hidden letter inside, then complete the handwriting practice at the bottom. 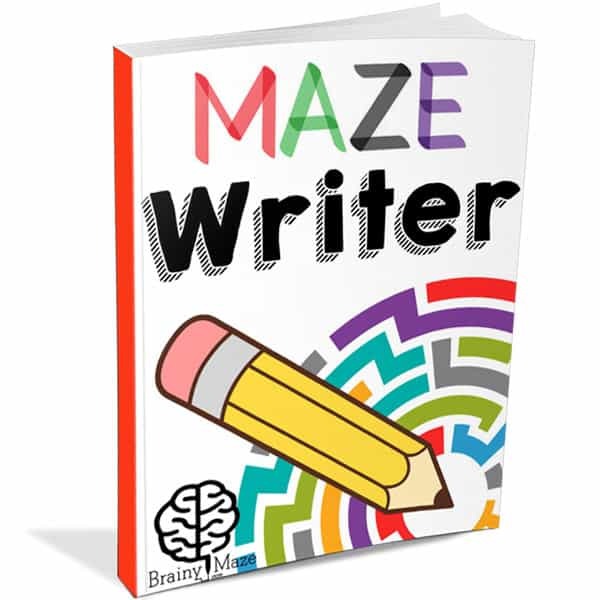 The Maze Writer program provides you with eight unique mazes & handwriting pages each week over 26 weeks. If you child is younger or an extremely reluctant writer (I have one too), you can have them complete a single page per day and stretch the program out over the entire year. Want to WIN a FREE copy? Tracing is a a great way to build those small muscle movements as children move their pencil along each animal outline. There are many fun Rainforest animals and Australian Animals included in this set so children are sure to be engaged when learning the names of new creatures. Text for each page is written in an, “A is for….” format using an EZ Read Dyslexia font. Children then solve the lowercase letter maze and practice their handwriting skills with letter tracing at the bottom. These would make great review worksheets for young children entering Kindergarten or First Grade. Find More Free Mazes Here.